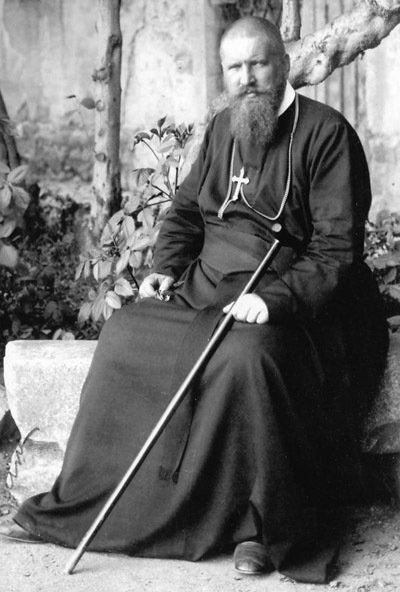 Metropolitan Sheptytsky led the Ukrainian Catholic Church from 1901 until his death in 1944. During his leadership Ukraine and its people were ruled by seven different regimes: Austrian, Russian, Ukrainian, Polish, Soviet, Nazi, and finally, the Soviets again. Ukrainian Catholic Bishop Borys Gudziak of Paris told Catholic News Service that while the process for his sainthood opened five decades ago, it was only with the independence of Ukraine in 1991 that church historians and theologians had access to all his archives. The study required for the sainthood process was not possible while Ukraine was still part of the Soviet Union. He died Nov. 1, 1944, just four months after the Soviets took definitive control of Lviv. Bishop Gudziak said, “The Soviets did not liquidate the Greek Catholic Church while he was alive.” The metropolitan’s stature was such that they permitted a public funeral for him, but five months after his death, they arrested all the bishops and moved toward declaring the Ukrainian Catholic Church illegal. Father Peter Galadza, acting director of the Metropolitan Andrey Sheptytsky Institute of Eastern Christian Studies at St. Paul University in Ottawa, Ontario, also mentioned the metropolitan’s efforts to save Jews during the Holocaust — including by personally sheltering them — and his efforts to promote reconciliation among Ukrainians, Russian and Poles. There is no question that Metropolitan Andrey Sheptytsky was one of the great churchmen of the WW II period. One of the greatest lay Catholics was the Austrian farmer beatified in 2007 by Pope Benedict for defying Hitler and suffering a martyr’s death rather than cooperate in any way with the Nazis.